Below you fill find all funeral homes and cemeteries in or near Hamilton. Suburbs of Hamilton: Indian Gap, Shive. Hamilton is also known as: Hamilton County / Hamilton city. Zip codes in the city: 76531. Hamilton County funeral flowers can be purchased from one of the local funeral shops we partner with. Some of the notable people born here have been: Mark Harelik (actor and playwright), and Luci Christian (voice actor and screenwriter). Hamilton is a city located in Hamilton County in Central Texas. The population was 3,095 at the 2010 census. It is the county seat. It was reported by Texarkana Gazette on September 28th, 2017 that Louise Roper (MacKey) passed on in Hamilton, Texas. Ms. Roper was 101 years old and was born in Stamps, AR. Send flowers to share your condolences and honor Louise's life. It was written on November 3rd, 2016 that Beverly Jean Bibbee (Hausler) perished in Spokane, Washington. Ms. Bibbee was 74 years old and was born in Hamilton, TX. Send flowers to express your sympathy and honor Beverly Jean's life. It was written by Wise County Messenger on June 27th, 2015 that Bobby Lewis Woolf died in Hamilton, Texas. Woolf was 72 years old. Send flowers to express your sorrow and honor Bobby Lewis's life. It was noted by New Bern Sun Journal on September 4th, 2014 that Aubrey Honea passed on in New Bern, North Carolina. Honea was 83 years old and was born in Hamilton, TX. Send flowers to express your sorrow and honor Aubrey's life. It was written by San Mateo County Times on December 4th, 2013 that Lois Banke (Zabel) passed away in Monte Sereno, California. Ms. Banke was 87 years old and was born in Hamilton, TX. Send flowers to share your condolences and honor Lois's life. It was revealed on July 17th, 2013 that Marie Ashmore (Harvey) died in Albuquerque, New Mexico. Ms. Ashmore was 86 years old and was born in Hamilton, TX. Send flowers to express your sorrow and honor Marie's life. It was disclosed by Albany Democrat-Herald on March 6th, 2013 that Tommie Lee Nelson perished in St Helens, Oregon. Nelson was 91 years old and was born in Hamilton, TX. Send flowers to express your sympathy and honor Tommie Lee's life. It was noted by Austin American Statesman on January 24th, 2013 that Florence Hiamll (Champagne) passed away in Hamilton, Texas. Ms. Hiamll was 84 years old. Send flowers to express your sorrow and honor Florence's life. It was disclosed on May 26th, 2012 that Howard M Hoops perished in Hamilton, Texas. Hoops was 92 years old and was born in Killbuck, OH. Send flowers to express your sorrow and honor Howard M's life. It was reported by The Lufkin Daily News on May 17th, 2012 that Thomas Brady Arbuckle died in Hamilton, Texas. Arbuckle was 81 years old. Send flowers to express your sympathy and honor Thomas Brady's life. 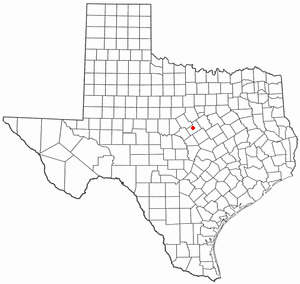 It is the county seat of Hamilton County, Texas County. The population was 2,977 at the 2000 census. Hamilton is a city in Hamilton County, Texas County, Texas, United States. . .
Funerals in Hamilton, TX on Yahoo! Local Get Ratings & Reviews on Funerals with Photos, Maps, Driving Directions and more. Hamilton Funeral planning made easy! Learn how to pre-plan your funeral in Hamilton, Texas, including step-by-step directions. The finest roses, gifts and Mother's Day flowers delivered fresh. Serving Hamilton, Texas, surrounding suburbs and the entire country. We work with local florists and flower shops to offer same day delivery. You will find budget sympathy flowers in Hamilton here. Our funeral flowers are cheap in price but not in value.